Seattle, WA - The first trial in a lawsuit brought by a state attorney general against Johnson & Johnson’s Ethicon unit over their allegedly defective pelvic mesh implants begins April 22 in Washington State court, and the proceedings will be webcast gavel-to-gavel by Courtroom View Network. Attorney General Bob Ferguson sued Ethicon in 2016, claiming the company failed to adequately warn patients and doctors about the potential risks and complications associated with transvaginal mesh implants, which include chronic pain, loss of sexual function and persistent infections. Thousands of women have sued Ethicon and other pelvic mesh manufactures in state and federal court, with dozens of cases going to trial (including many found in CVN’s online video archive), but the pending trial will be the first involving a government entity as a plaintiff as opposed to individuals claiming they suffered specific mesh-related injuries. Jury verdicts in mesh cases to date consist of a mix of plaintiff and defense outcomes. 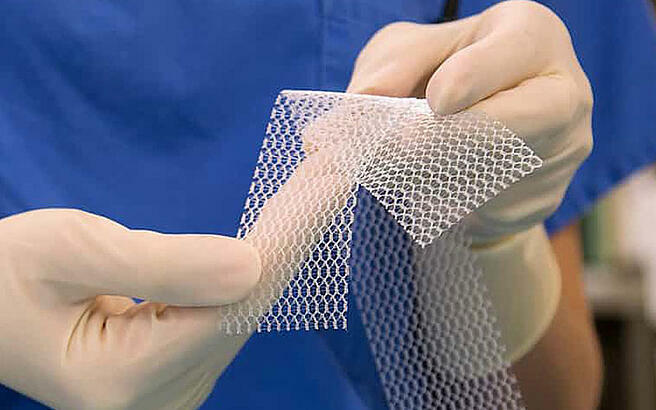 Ethicon and other mesh manufacturers like Boston Scientific and Endo International maintain their mesh products are safe and offer a less invasive alternative to major surgery to treat conditions like pelvic organ prolapse. In court filings Washington State prosecutors allege tens of thousands of violations of the state’s consumer-protection laws, which could potentially result in penalties totaling millions of dollars. Ethicon supposedly sold nearly 12,000 mesh implants in Washington State. The upcoming trial will take place without a jury before King County Superior Court Judge Suzanne R. Parisien. Expected to take at least five weeks to complete, the trial will be closely watched as similar cases are pending in California, Mississippi and Kentucky, and a victory by the Washington AG’s office could motivate AG’s in other states to pursue similar claims. The case filed by former California Attorney General Kamala Harris is set for trial in July in San Diego. That trial could carry even greater stakes, with the California AG’s office claiming Ethicon sold 42,000 mesh implants in the state between 2008 and 2014. The Washington State AG’s office is relying on in-house attorneys for the upcoming trial, while Ethicon and J&J are represented by a trio of law firms including attorneys from O’Melveny & Myers LLP’s Washington, DC office, Covington & Burling LLP’s Los Angeles office, and local Washington counsel from Calfo Eakes & Ostrovsky PLLC. CVN’s coverage will commence at the start of the trial’s opening statements and continue gavel-to-gavel, both live and on demand, for the duration of the proceedings. The case is captioned State of Washington v. Johnson & Johnson, et al., case number 16-2-12186-1 SEA in King County Superior Court.